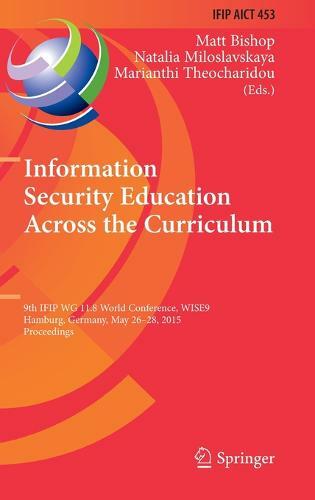 This book constitutes the refereed proceedings of the 9th IFIP WG 11.8 World Conference on Security Education, WISE 9, held in Hamburg, Germany, in May 2015. The 11 revised papers presented together with 2 invited papers were carefully reviewed and selected from 20 submissions. They are organized in topical sections on innovative methods, software security education, tools and applications for teaching, and syllabus design.